But right now I want to give some hope to Oregon fans: YOU NEED NO MIRACLE! Win their remaining games against OSU and then the Pac-12 title game against UCLA at home. I ask anyone out there to give me a different team who would play the winner of the SEC title game for the BCS championship besides Oregon in that scenario. Kansas State lost to a FAR inferior team than Oregon did, so they’re going to swap spots relative to each other. Notre Dame will have lost more recently than Oregon, always a bad thing in the BCS, and will return to their spot below Oregon as they have all season. Then there’s the 3 SEC teams with one loss (Alabama, Georgia and Florida), of which either Alabama or Georgia will have a loss from the SEC title game. So the question is can Florida, who lost to Georgia, make it a 2nd consecutive year of an all-SEC title game? That’s the strongest possibility that would keep Oregon out, but my gut says no. So I guess if you wanted something to REALLY ensure it’ll be Oregon, add Florida State beating Florida this week to the list. I guess it’s theoretically possible a one-loss Florida State, after upsetting Florida next Saturday as Oregon fans now otherwise want, could get back in the mix, but since they’re currently #10, that’s a HUGE longshot with the ACC not having much respect and their loss to North Carolina State being of a far lesser quality that Oregon’s loss to Stanford. So I submit to you, if the above happens, all of which is VERY reasonable and not a “miracle” as Ted Miller puts it, Oregon WILL play for the national title. It’s been interesting to read some of the message boards post-bowl announcement. As the Texas fans have come to the Cal message boards and the Cal fans have gone to the Texas message boards, the issues of the day has not been which team is better right now (frankly neither fan base is all that happy with the state of their current team) but 2004. 2004, where the Bears were ranked 4th and would have been guaranteed a spot in the BCS in the next-to-last ranking, but were leap-frogged in the final week, ending up 5th, behind Texas. Texas went to the Rose Bowl in Cal’s stead. Cal fans were outraged. Cal beat Southern Miss 26-16 in the final week, but were down to S. Miss 17-16 early in the 4th quarter. However, Cal had statistically dominated the game, particularly the rushing game. It was a relatively easy grind-it-out win for the Bears and Cal pretty quickly put an end to S. Miss’s 3rd quarter rally. Texas was idle that same week. Texas did not go to the Rose Bowl because the Rose Bowl wanted them more than Cal. This was the older BCS, where the championship rotated between the major bowls. Therefore there were only 8 spots for teams. The following teams were guaranteed spots: #1, #2, the winners of the 6 BCS conferences, a #6 or higher non-AQ team and the higher of #3 or #4 that didn’t win their conference. That year both #1 and #2 won their conference (as is usually the case), so it was the 6 BCS conference champs, plus Utah at #6 (non-AQ) and Texas at #4 who made up the 8 teams. There were no options and the Rose Bowl was forced to pick between Texas, Utah and Pittsburg. In the new 10 team BCS, there’s no question that the Rose Bowl would have picked Cal. Texas’s only loss was to Oklahoma, the #1 ranked team. Final score, 0-12. Cal’s only loss was to USC, the #2 ranked team. Final score, 17-23. Of course, Oklahoma was ranked #1 before the bowl game, but we all know who ended up being the far better team. USC destroyed Oklahoma 55-19. Most pundits believed Cal played a closer game against USC than Texas did against Oklahoma. Texas had beaten more ranked teams than Cal did, but all of them were ranked 20 or lower. It’s not like they were all that impressive wins, either (26-13 over A&M, 56-35 over OSU, 51-21 over TTech (OK, that one is)). BTW, all those teams were 7-4. While Cal only beat 1 ranked team, Arizona State, they were ranked higher than all the teams Texas beat (#19). They were also 8-3 instead of 7-4. Cal also beat unranked 6-5 Oregon State, who was under-appreciated as they destroyed Notre Dame in the Insight Bowl. Finally, Cal beat 6-5 UCLA. Don’t let any Texas fans understate how hard Mack Brown campaigned. See here, here, here (scroll down). Cal went on to lose 31-45 to Texas Tech, a team Texas had beat handily, validating to most that Texas was the most deserving team (dismissing/overlooking the lack of motivation Cal had). Texas went on to beat Michigan in the Rose Bowl, winning on a late field-goal 38-37. Of course one doesn’t know how Cal would have done against Michigan. Cal was actually ranked 4th in both the AP and Coaches poll, it was the computers that ranked Texas higher (significantly at that). It was the coaches poll that changed most in the final week of the season, the assertion being that Big-12 coaches significantly lowered their rankings for Cal in the final week. I actually had a hard time finding detailed data on the polls in the next-to-last week and the final BCS rankings week. If someone has links, I’d appreciate it. From my memory, no coaches poll from 2004 was public on a vote-by-vote basis. Even now, only the final week’s ranking is made vote-by-vote public, so one wouldn’t know who changed their vote from the next-to-last week to the final week. Those are just the facts. Feel free to continue the debate, but at least let’s keep the facts accurate. I couldn’t help but laugh at the irony when the kraft Fight Hunger bowl (which seems like one of the more noble bowls by the way) featured two teams that have already fired their coaches. Would the now unemployed coaches and their families be getting bags of food after the game to help them through the rough times? Luckily this is something one can joke about because I would hope that all the coaches involved put aside enough money from their large salaries to survive being fired and out of work for a while considering the business they’re in. I’d never want to joke if real hunger was involved here. But seeing as how it likely isn’t, one couldn’t think of a more ironic name for a bowl that featured two teams with fired coaches (other than the “Fight Unemployment Bowl”). 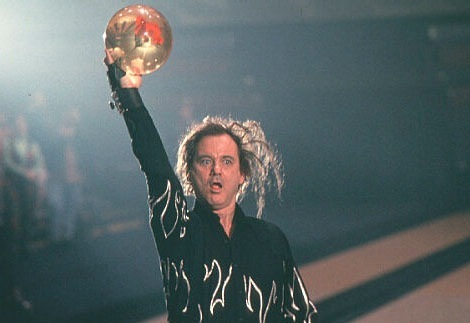 Now that we’re through the BCS line-up knot-hole, I’ve got another topic that’s been on my mind: Bowl Bans. Obviously there are two main punishments that the NCAA hands out. Bowl bans, usually for 1 to 3 years, and scholarship restrictions. At first glance they both seem to be good punishments. Going to bowl games is the reward for a good season, something that both the players and the fans love. It also gives the team extra practice time they wouldn’t get otherwise. That’s the “take away the positives” side of it. The “punishment” side of it is that the team’s recruiting will take a hit because new students won’t want to go to a school that they can’t go play in bowl games. Scholarship restrictions on the other hand is an almost entirely punishment based handout. It hurts the school’s recruiting by reducing the number of kids who can be recruited and the number of kid who can be on scholarship for 1 to 4 years. At first glance, the heavy handed likely prefer the bowl bans. It has both a punishment and removing rewards aspect. Isn’t it better to take away both? First of all, for the NCAA almost all punishments come LONG after the players and frequently the coaches who committed the infractions have left the program. The result is that taking a bowl game away from a team is likely taking it away from kids who didn’t do anything wrong. Second of all, with the exception of unusually long bowl bans, it won’t much hurt recruiting. There will usually only be one or two recruiting classes who are even aware of the sanctions while they’re being recruited and for most of them, those bowls will be in their 1st year or two in the proram, when they’re somewhat unlikely to be a starter or someone with significant playing time. That’s not all that much of a disincentive to go play for that school. Thus I don’t think bowl bans work. That’s half the reason I don’t like them. The other half is that it also punishes the rest of the conference for the mistakes of the team that broke the rules. This has become quite clear to me after watching USC this year. See, when a good team is on a bowl ban, every time it beats someone in the conference, it’s reducing both the quality of the bowl the guilt-free team will go to and the number of bowl slots available to the conference. If USC hadn’t beaten Oregon, Oregon would be in the BCS championship game this year. Although it didn’t happen this year, any team that was 5-7 and lost to the team with a bowl ban, was denied a bowl game they would have been in if they could have beaten the team they would have played instead. There’s even a long-run factor of bowls not willing to offer more compelling spots to the conference because of the weaker looking teams (due to the extra losses put on the conference by the bowl ineligible team) they had gotten in the past. So the way I see it, the bowl bans don’t hurt the violator all that much (at least the right kids/coaches) and then hurt the rest of the teams in the conference. That’s particularly egregious because those conference teams are the teams that MOST need retribution. After all, assuming the rule breaking helped the violating team get ahead, it was the other conference teams that most directly paid for the cheating in the past. Looking at scholarship restrictions instead, the impact is to weaken the violating team, which gives more win opportunities to the other teams in the conference (something they deserve based on the harm of past cheating) and not in other ways harming the conference. If I were in charge of the NCAA, unless I caught and imposed sanctions right away, while the players involved were still at the school, I wouldn’t impose bowl bans. I would instead take away scholarships, and lots of them. On the one hand, it ticks me off that Alabama got the BCS Championship slot over Oklahoma State. The only reason I’ll be watching that farce of a national championship game is if I’m bored that evening. On the other hand, I’m ecstatic about the bowl match-up for the Bears. The Holiday bowl always gets its time-slot to itself and generally turns out to be a good game. Plus, playing Texas. Did anyone say: REVENGE MACH BROWN… REVENGE!?! Finally, the hypocrisy being smelled is the rules for non-AQ qualifiers. I didn’t realize how high Boise State was ranked… finished at #7 in the BCS, well high enough for the “ranked higher than 12th” rule EXCEPT for the fact that only conference champions are eligible for that rule. I see, for the BCS title game, winning one’s conference is irrelevant, but for a non-AQ team to get in the mix, THEN one has to win the conference in addition to being in the top-12, something the Mountain West winner TCU didn’t do. I’ve long been a believer that the easiest way to solve over half of the problems in the BCS is to insist that only teams that have won their conference are eligible for the BCS championship game. Seriously, if you can’t win your conference, how can you claim that you’re the national champion? Then there’s the more subjective issue that if you look back, the most egregious and controversial slights have happened when a team that didn’t win their conference gets the nod (2001 Nebraska anyone?). Of course it doesn’t solve every problem, like when there are 3 undefeated teams from different conferences, but there’s a lot of scenarios it significantly cleans up. Ironically, the BCS is going the opposite way. A couple years back they realized there was an issue with the current rules where the top two ranked teams were from the same conference and neither won the conference. Because there’s a two team limit for BCS games, the question was which of the three would go (the conference champ, the #1 team and the #2 team) to BCS games. Could the conference champ be denied a BCS bowl game? Would #2 be denied a spot in the championship game?. The solution was to say that all three teams in that scenario were automatic qualifiers for the BCS. But of course they could have solved that problem by just limiting the BCS Championship to teams that won their conference. And as I said above, if you didn’t win your conference, you have no business being in the title game. Let’s hope Oklahoma State’s impressive 44-10 win over #13 Oklahoma is enough to leap-frog Alabama, because the last thing I want to see is a repeat all-SEC BCS title game. I’m pretty sure I wouldn’t even watch it. Update Sunday @ 7:45 AM: I probably should have made it clear that I prefer an 8-team playoff. I’m somewhat flexible within that model as long as some number of conference winners are automatic qualifiers. My current thinking is the top 5 ranked conference winners (of any conference, not just the current BCS conference and independent teams counting as a “conference of one”) getting an automatic bid, with the remaining 3 “at-large” going to the highest ranked non-conference winners. Point being, the above post is a “if we can’t blow the thing up, this is the minor change I’d make” post, not what I think is the best. If I remember correctly, part of what got us all so excited about adding the Alamo bowl was that it was moving to be a January 2nd bowl, the 2nd most prestigious day for a bowl game after New Year’s day. But in our first two years of playing it, it’s been on the very over-crowded days of December 29th and and December 31st. I know a big reason for that is that New Year’s day has been over the weekend, making a mess of scheduling (you don’t want your Jan. 2nd games on Sunday due to the NFL and the Jan. 1st games move to Jan. 2nd when the 1st in on a Sunday, bumping the Jan. 2nd games elsewhere whenever the 1st is on either Saturday or Sunday) for the last couple years… but I’m beginning to wonder if we got a far less appealing game than we thought. After all, the TicketCity bowl (former Cotton bowl) snuck in with the Jan. 1st bowls (the 2nd this year), even though they’ve got a much weaker lineup (#5 Big-10 vs. Conference-USA winner). I was going to say “As a reminder, the Pac-12 is one of the only BCS conferences without a 2nd new year’s day bowl” but it looks like the landscape has changed. Of the 4 non-BCS game New Year’s Day bowls (Jan 2nd. this year), ALL FOUR of them will have a representative from the Big-10. Three of the 4 will match up against the SEC and one will match up against Conference-USA (what the?). In past years, the Big-12, Big East and ACC have all had one of those slots. Looks like they get to join the Pac-12 in weak bowl land. But that’s ridiculous, the 5th place team (6th if they ever get 2 in the BCS games) in the Big-10 will be playing on New Year’s Day. This year they’ve got a log-jam of five 10-2 or 9-3 teams, so it won’t be too bad, but in most years, it’ll be a pretty weak team playing on the same day as the Granddaddy of them all. Still going to the Holiday bowl? When I did my pre-season predictions I predicted the Bears would go 9-3 and fall just short of the Rose Bowl, ending up somewhere around the Holiday Bowl. If you had told me at the time that the Bears were going to go 6-6 and end up in the Holiday Bowl I would have told you to do some basic math that the rest of us learned in Kindergarten. Stanford needs to beat Oregon State, keeping them on track for an at-large BCS game (seeing Auburn lose helps that scenario too, opening up a Rose Bowl slot for Stanford with a non-AQ team in the BCS championship game, but is not necessary… there’s no reason the Fiesta wouldn’t want Stanford at 11-1). Oregon needs to win out and go to the National Championship game (also ensures OSU is not bowl eligible, in combination with OSU’s loss to Stanford). Finally, although again not absolutely necessary, USC and Arizona winning their rivalry games against UCLA and ASU respectively, keeps the math easier and the Holiday bowl doesn’t even get to pick between Cal and ASU or UCLA. If both Oregon and Stanford lose to OSU, they’ll take the Rose and Alamo bowls. Arizona and Oregon State will take the Holiday and Sun. In theory UCLA, if they beat ASU and USC could leap-frog Cal into the Vegas leaving Cal in the nut… er… Kraft “Fight Hunger” bowl in SF. So, anywhere between the Holiday and Hungry Nut… but more likely close to the Holiday than the Fighting Nut. Jon Wilner of the Mercury News has some detail about the Pac-10’s new bowl ties. Short version, starting next year the Pac-10’s bowl ties will have a choice of teams within one win of one another. So the Alamo Bowl, with the second pick, will be able to choose from the second-place team or any other team with one fewer win. Then the same deal applies for the Holiday Bowl with the third pick. Also, it sounds like the Emerald Bowl is going to get stuck with the last pick, no longer swapping every year with the Las Vegas Bowl. I do this post every year, comparing the conferences and their performance iin the bowl games. See here for last year’s post and note that I don’t always rate the Pac-10 that highly. Anytime a conference goes undefeated it is pretty impressive. If there is a flaw here it is that the Pac-10’s schedule was pretty weak. If Oregon could have beaten someone like Penn St. and USC had beat either Oklahoma or Florida, it would have been more impressive. Some wouldn’t put the Alabama loss to Utah at the bottom of the list arguing that Utah finished #2, but I scoff at #2 Utah. They struggled with Oregon State and BYU. At the same time Alabama went UNDEFEATED in season play in the mighty SEC. Sorry, that’s a big hit no matter which way you slice it to the SEC. Luckily for the SEC, they’ve got some big wins over good teams, particularly the BCS championship game and solid victories over Texas Tech and Michigan St. to balance things out. I felt all season that the Big 12 was the most over-rated conference in the country and the bowl season proved this out. This isn’t to say they’re horrible, just that they weren’t the jaugernaut everyone claimed they were with the most potent offenses in the country. Really, it was the conference with the weak defenses where the only team that was able to have a notable win was Texas who barely beat a fairly impotant Ohio State. Nevertheless, going 4-3, I can’t put them in the bottom half particularly with the tough schedule. Rutgers asserted themselves over N.C. St.
4-2 is not bad if it was not for the opponents. 2 of their 4 wins were over non-BCS schools and not particularly good ones at that. The other two wins were over middle of the conference BCS teams. Finally the two losses were to two teams that really should have been beat. Oregon State was in shambles offensively and Virginia Tech is one of the weakest ACC champs in a long time. Wisconson destroyed by mediocre Florida St.
Luckily for the Big-10, nobody thought much of them this season so their abysmal post-season record isn’t as troublesome. If the Big-10 has something going for it, it’s that it played all most all of the country’s best teams. With some lighter matchups they might have reached .500. On the one hand, that’s a lot of losses to a lot of mediocre teams. On the other hand, they did have to play 10 games. Imagine if the Pac-10 had to play 8 or 9 bowl games… there would be some losses on the bottom. Add in that there were a lot of close losses and it’s hard not to feel a little sympathy for the ACC. A few better bounces of the ‘old oblong and they might have been 7-3. Nevertheless I think what sinks the ACC is the lack of impressive wins to offset the many losses. Really, the ACC probably had the weakest bowl schedule, well, except for the Big East’s amazingly weak schedule, and they still couldn’t get to .500. Overall, there’s not a single conference who’s performance struck me as dominating and deserving of bragging rights. The bottom 3 continue to lose ground on the top 3 conferences. While the Big-12’s performace was nothing impressive, it was a far cry from the performance of the bottom 3. As for the Pac-10, even one loss with it’s weak schedule would have dropped it from the top of my rankings for the bowl games. It’s not like it was the most impressive undefeated run through the bowls. Nevertheless, undefeated is undefeated and without a strong challeng from the SEC who’s record is not exactly spotless even when ignoring the two losses, the Pac-10 gets the nod. Well, with USC’s win over Penn St., the Pac-10 completed their sweep of the bowl games. True, not every game was a thing of beauty and not every opponent was each conference’s best, but the reality is that every conference will have that caveat to their performances. All of those things aside, the Pac-10 is the only conference that went undefeated this bowl season (although many conferences still have games left, every conference besides the Pac-10 has already lost one). I’m never going to be the guy who says the Pac-10 is the undeniable best and nobody can compete with us, because the reality is that it is never as simple as that. But what I will always say is that with the possible exception of the SEC, the Pac-10 is the most difficult conference to get through one’s conference schedule unfazed. From top to bottom, every team minus one or two is a team that it is going to take a reasonable effort to beat, even for the best in the conference and the top few are going to take the best’s best effort to beat. Add in that in the Pac-10 we play a full round-robin and as such 2 more conference games than many and 1 more than everyone else, and the Pac-10 is a tough and grueling place to win. Plus, no where besides the Pac-10 do you see the diversity of offensive and defensive schemes that one sess in the Pac-10. You have to be balanced and flexible on both sides of the ball to win consistently. All of this is a long way of saying that this bowl season proves once again that the Pac-10 is a very strong conference and our best deserve more recognition than they do for their accomplishments and final rankings. Well, it’s the day of the final bowl selections, which means it is time for my annual rant about how bad the Pac-10 bowl lineup is. Michigan State: At 9-3, one game better than the Bears, which I’m sure I don’t have to remind everyone handily beat them, but they don’t have to play in the supposedly weak Pac-10. Were the Bears playing in a “just short of New Years Day” bowl, that would be one thing, but we’re not. we’re playing in a “you can’t even sniff New Years Day yet” bowl. So while a more-or-less superior Cal is playing in the Nut Bowl, Michigan State is playing in the high paying Capital One bowl. Iowa: At 8-4, the next on the list, but a team two further down the Big-10 standings from Michigan State. Clemson: At 7-5, yes you read that right, they’re record is as bad as the WORST Pac-10 team who is in the bowl games. I also submit to you that Arizona would be a handful for Clemson to beat. Nevertheless they’re playing in the Gator bowl. South Carolina: Also 7-5, South Carolina’s biggest claim to fame is that they play in the tough SEC and have what used to be one of the best coaches in college football. Tell me that the Pac-10 doesn’t deserve AT LEAST 2 teams on New Years day with the option of as many as 4 with two BCS berths and one other “at-large” option in addition to a 2nd guaranteed New Years day or later bowl. It’s time for the Pac-10 commishioner to start getting on the ball here. Well, word broke Saturday evening before the Arizona vs. ASU game was even finished that the Bears were headed to the Emerald bowl as everyone expected. All that we were waiting on was the opponent from the ACC, which would likely be Miami but could also be Florida State. Of course what the decision to give the bid to Cal before the Arizona game was complete was that it wouldn’t have mattered if ASU won. The Vegas bowl was willing to take the winner of that game, whether or not they were better than 6-6. That was a bit surprising to me, although not completely so. The opponent of Miami is not as nice as FSU would have been, but it’s still a notable East Coast team which means there will be more people watching. Although the Vegas bowl gets a lot higher pick in the Mountain West than the Emerald gets in the ACC, the reality is that the ACC is going to get a lot more attention from the “east coat bias” reporters than the Vegas. In that sense, the Emerald is a better bowl. Just a few years ago Mack Brown pulled a classless act by lobbying poll voters to vote down Cal so that Texas could go to the Rose Bowl with 2 losses (Cal was 11-1 and lost to #1 USC by 6 points in L.A.). It worked and a number of voters did not even have Cal in their top 5 after Cal was #4 in the BCS the previous week. WHAT GOES AROUND COMES AROUND! EAT IT MACK BROWN. You reap what you sow and Mack Brown more than anybody deserves this fate. I am not a Cal fan, but I remember thinking how classless Mack Brown was back then and eventually it caught up with him. I can guarantee you that somewhere Jeff Tedford is smiling. 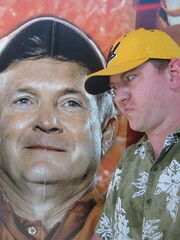 Yes, I’ve had some issues with Texas coach Mack Brown (pictured, right, getting the stank eye from Phil) and his minions in the past. I actually think Texas got hosed this year. But… live by the terrible system, die by the terrible system. With Oregon State having been destroyed by Oregon, Cal’s bowl picture has cleared up somewhat. Most Likely Scenario: Cal to the Emerald Bowl. By all rights, Cal should be headed for the Las Vegas Bowl. However, rumors persist that the Emerald Bowl will beg, borrow, bribe, and steal — basically do anything in its power — to wrest Cal away from the Las Vegas Bowl. So if the two bowls cut a deal, Cal will be playing in AT&T Park on Dec. 27. Let’s assume that Cal beats Washington to go to 6-3 in the conference. The winner of the Arizona-Arizona State match-up next week would go to 5-4 in the conference and clinch fifth place. What this would normally mean is that fourth-place Cal would be destined for Las Vegas and fifth-place Arizona or Arizona State would be destined for San Francisco. Does it make sense for the two bowls to swap teams in that scenario, so that the Arizonans can drive to Vegas and the Cal fans can cross the bridge to San Francisco? You bet it does. And if Cal loses to Washington, they’d actually be right in the natural slot for the Emerald Bowl. Even the craziest of scenarios — UCLA beats USC, Washington beats Cal, Arizona beats ASU — lead to the Emerald Bowl. In this scenario, Oregon still drops out of the Sun Bowl due to the no-repeat clause. But now Cal and Arizona are both 5-4 in conference. In this scenario the Sun Bowl would certainly pick Arizona, which has geographic proximity and the head-to-head win over Cal, so Arizona would go to the Sun Bowl. 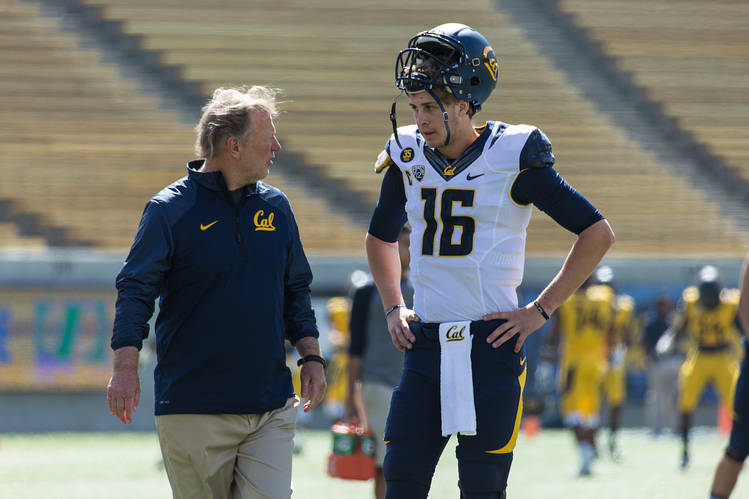 With Oregon kicked to the Las Vegas Bowl, Cal falls once again to AT&T Park. Or let’s say Arizona State wins against Arizona to become bowl eligible and Cal loses to Washington. In that scenario, Cal and ASU would be tied for fourth place in the Pac-10. Assuming USC beats UCLA, that puts Cal and ASU tied for the slots that go to Las Vegas and Emerald. Emerald will want the team from the Bay Area, and once again, Las Vegas will choose a team from nearby Arizona. Crazy Scenario: The only other real scenario at this point would occur because of a UCLA upset of USC. I’ll wait here until you stop laughing. Better now? Okay, if UCLA were to beat USC, two things would happen: Oregon State would go to the Rose Bowl and USC would almost certainly drop out of BCS contention, forcing it to the Holiday Bowl. By all rights Oregon deserves the next bowl as the Pac-10’s third-place team, but the Sun Bowl has a clause that allows it to turn away repeat teams, and the Ducks played in the Sun Bowl last year. So if UCLA pulls the upset, Cal is probably headed for El Paso. A funny thing I’ve noticed in working these scenarios out. The Arizona-Arizona State game seems to have definite outcomes. The winner will play in the Las Vegas Bowl. If Arizona State loses, it’s not bowl eligible. But if Arizona loses, it will be the conference’s sixth bowl-eligible team. As a result, its consolation prize will be a trip to the Hawaii Bowl. Not too terrible. Sory, Poinsettia Bowl. No Pac-10 team for you. If USC beats UCLA: Rose: USC, Holiday: Oregon, Sun: Oregon State, Las Vegas: Arizona/Arizona State winner, Emerald: Cal, Hawaii: Arizona if it loses to ASU. If UCLA beats USC: Rose: Oregon State, Holiday: USC, Sun: Cal, Las Vegas: Oregon, Emerald: Arizona/Arizona State winner, Hawaii: Arizona if it loses to ASU. Please, smart readers, let me know if I’ve gotten anything wrong. Holiday Bowl: Oregon State beats Oregon, Cal beats Washington and USC gets an at-large BCS berth, which likely requires them to win-out (Notre Dame and UCLA), although not an absolute requirement. In this case Cal is 3rd in the conference but gets the 2nd place bowl because of two BCS bowls for the Pac-10. Sun Bowl: Two scenarios here. #1 Oregon State beats Oregon, Cal beats Washington and USC fails to get at-large BCS berth. That means USC is in Holiday and Cal goes to Sun bowl assuming they respect head-to-head over Oregon (and they’re likely to since Oregon was in the Sun last year). #2, USC still gets at-large BCS berth but Cal loses to Washington, causing them to fall below Oregon in the standings and so losing the Holiday bowl bid. That puts them in a tie for 4th with Arizona, assuming they beat ASU or a tie with ASU assuming they beat UCLA and Arizona. Cal would be alone in 4th if Arizona loses to ASU and ASU loses to UCLA the preceeding week. In the tied with either of the Arizona schools scenario, Cal could end up in any of the Sun, Vegas or Emerald depending on how the politics play out (and make sure to note that Arizona holds the head-to-head over Cal and is closer to the Sun Bowl than any Pac-10 team, so are likely to get the nod over Cal in that scenario. Similarly, although ASU doesn’t hold the head-to-head over Cal, they just won their last two games in this scenario and are much closer to the Sun than Cal is.). In the alone in 4th scenario, Cal’s guaranteed the Sun. Las Vegas Bowl: Theoretically this would be an easy enough bowl to be in, but the word on the street is that the Emerald bowl is willing to do whatever it takes to get the Bears from the Vegas Bowl if that’s where they naturally fall. Forgetting for a moment those politics, the Bears end up in the Vegas if Oregon State loses to Oregon, Cal beats Washington and USC beats UCLA. Then USC goes to the Rose, OSU to the Holiday and Oregon to the Sun (another political scenario here: Sun trades down to get Cal because they don’t want Oregon two years in a row). In that scenario, Cal would “belong” in the Vegas (but probably end up in the Emerald). The Bears could also end up here if they lose to Washington but the Vegas picks Cal over either of Arizona or ASU that they’re potentially tied with. Emerald Bowl: Pretty much if Cal beats Washington, they should in theory stay above the Emerald, all above politics aside. So what it takes to fall here, by the numbers anyway, if for Oregon to beat OSU, USC to beat UCLA, Arizona to beat ASU and Cal to lose to Washington. In that scenario it’s USC in the Rose, Oregon in the Holiday, OSU in the Sun, Arizona in the Vegas with the head-to-head over Cal and Cal in the Emerald. If you’re willing to include some politics, another way this happens is that Arizona State beats both UCLA and Arizona, becoming bowl eligible and 5-4 in the conference, tied with Cal after they lost to UW. Although Cal holds the head-to-head, Vegas is pretty close to Pheonix and they’d love to take ASU, particularly when the Emerald is begging for Cal anyway. That’s about it for half-way reasonable scenarios. One other one that seems pretty improbably is the set of scenarios if UCLA upsets USC. That’s not a big change if Oregon State beat Oregon, but if Oregon State loses to Oregon we’ve now got a 3-way tie for first. To make life even more complicated, who wins the tie-breaker would now be determined by which of Cal (Oregon’s 2nd loss), Stanford (OSU’s 2nd loss) and UCLA (USC’s 2nd loss) are higher in the standings. Whoever lost to the highest team is out. Ironically, although it is pretty darned complicated when one gets into the details, no matter what Oregon State wins that tie-breaker. In any case, while it’s a fascinating scenario for the conference, for the Bears it doesn’t change much from any of the above scenarios where Oregon beat OSU with the possible exception of UCLA replacing ASU as the 6th bowl-eligible team that is also tied with Cal should they lose to Washington. See, it’s not so complicated. Basically, the key is that there must be a 3 way “triangle of losses” tie between USC, Cal and Oregon State. In that scenario, where Cal beat Oregon State who beat USC who beat Cal (thus the triangle), one or more of the teams will get “bumped” from the tie-breaker based on who their other loss is too. Being specific, whoever lost to the team with the highest conference record is out of contention. Cal lost to Arizona and Oregon State lost to Stanford. So, we need whoever USC loses to, to have a better conference record than Arizona. Arizona is 4-2 in conference, so the worst they can do is 4-5. That means whoever of Stanford or UCLA must have a record of 5-4 for Cal to have a shot. Stanford would be 5-4 if the beat USC but lose to Cal, so they’d work. In that case, both USC and Oregon State would be eliminated if Arizona loses out. UCLA is 2-4 and still has games against Washington, Arizona State and USC. They could definitely beat the first two teams, so the game versus USC could still matter if they could pull it off. Of course, if USC goes into a free-fall and loses to both Stanford and UCLA, Cal would control their own destiny by beating Oregon State, so I guess in theory, that’s road #2 to the Rose Bowl. Sadly, if everything but the Arizona losing streak happens (i.e. they just win one game), USC would go to the Rose Bowl based on their BCS ranking being the highest. Every Cal fan knows that if the Bears win out, including beating USC in LA next Saturday, the Bears can not be denied the Rose Bowl. But what if they don’t win out? What then? For starters, they don’t have to win out to win the Pac-10 and go to the Rose Bowl. If they beat USC and Oregon State, they can lose one of their last two games and still be the Pac-10 representative to the Rose Bowl IF (and remember this if) Arizona loses another game. So really, the team Cal most needs to lose a game is Arizona because otherwise they’ve got a one game buffer over Oregon and UCLA and could get a one game buffer over both USC and Oregon State with wins there. The other scenario that could conceivably see the Bears in the Rose Bowl is the “back door” option with USC headed to the National Championship game. With Texas going down to Texas Tech that option continues to look better, although it is still a long-shot. There are now only three undefeated BCS teams and I think USC with a stong finish could easily be one of the top two one-loss teams. The bigger problem here is Cal has to get into the top 14 between now and the end of the season, and do it while losing to USC (a pre-requisite to this scenario). When you put together the percentages of both USC getting into the championship game AND Cal getting up to #14 while losing one more, particularly considering the lack of respect the Pac-10 is getting this year, it seems pretty unlikely. So, Rose Bowl wise, it’s pretty much win the next two weeks and then either win out or win one of the final two combined with an Arizona loss at any point down the stretch. But what about the rest of the bowls? Here it gets WAY too complicated way too quick. I think if the Bears beat Oregon State and then doesn’t completely fall on their face the last two weeks, another trip to San Deigo and the Holiday bowl in in order. While the lesser Pac-10 bowls aren’t required to observe the tie-breakers, for the most part I expect them to do it unless their is a BIG attendance or TV advantage to a team. Since Cal is a fairly high team on the attendance and TV stage if the game isn’t in Texas, Cal is very likely to get the benefit of the doubt in a number of situations. So Arizona will likely lose out to Cal in a tie, even though they should get the tie-breaker. Let’s say the Bears lose both of the next two weeks, what then? Then, unless Arizona falls on their face, it looks like it’s either Vegas or the San Francisco Nut Bowl based on how Oregon and Oregon State finish things out. However, now that the Bears are bowl eligibile at 6-2, even a complete fall on the face means the Bears are going bowling and for those who wouldn’t mind taking their wives on a trip to Hawaii, it might provide some consolation should the Bears find themselves in a free-fall losing 3 or more of their 4 remaining games.